Hardware design loving Steve Jobs probably rolled over in his grave after reading one Wall Street analyst’s hot new take on the value of Apple’s (AAPL) two key businesses (you know Jobs still reads this stuff). Total services revenue of $61.9 billion by fiscal year 2021, up 33% from fiscal year 2019. Apple’s services business would represent about 22% of Apple’s full year sales compared to 18.3% currently. The valuation makes sense considering Apple’s services business is higher margin and is growing faster than hardware, and is clearly a focus by CEO Tim Cook. This is the type of lucrative stuff that big time Apple shareholder Warren Buffett craves in his investments. 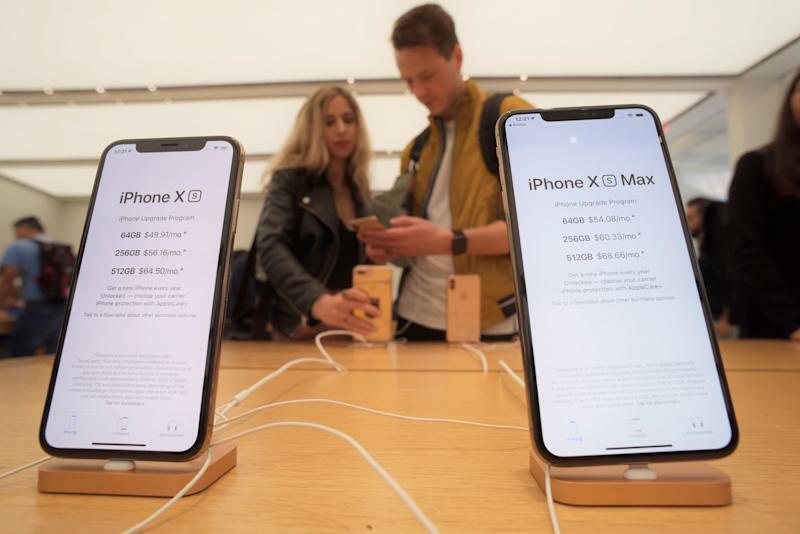 But that doesn’t mean it’s any easier for long-time Apple stock lovers to place their eyes on the projected value of Apple’s hardware business. Olson estimates Apple’s hardware business — consisting of the iPhone, Apple Watch and AirPods — is only worth $398.8 billion. Among the hardware units, the analyst sees Apple’s wearables business growing the fastest through fiscal year 2021, whereas the iPhone is only expected to grow by 3.6%. That, too, is logical given the installed base of active iPhone users is more than 1.4 billion. In other words, Apple’s iPhone market is mature and less apt to benefit from high profit margins and fast sales growth. Factor in some $130 billion in net cash, Olson thinks Apple is really worth $1.03 trillion. Apple’s current market cap according to Yahoo Finance data: $880 billion.